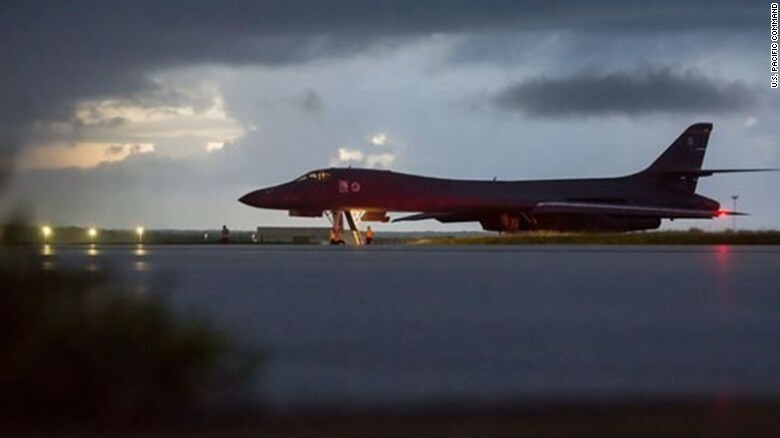 [CNN] The ongoing war of words between the United States and North Korea saw several new fiery salvos Saturday, a day on which the US military, in a show of force, flew bombers in international airspace over waters east of North Korea. The heated remarks also came on a day in which mysterious seismic activity in North Korea refueled concerns over the rogue nation’s nuclear ambitions. Meanwhile, analysts said that seismic activity detected near the site of North Korea’s Punggye-ri nuclear site might be aftershocks from a nuclear test earlier this month. Seismic activity is often the first indicator of a nuclear test, but the magnitudes Saturday were much smaller than anything declared as a nuclear test in previous years. The ongoing war of words between the United States and North Korea saw several new fiery salvos Saturday, a day on which the US military, in a show of force, flew bombers in international airspace over waters east of North Korea. A U.S. Air Force B-1B Lancer deployed from Ellsworth Air Force Base, South Dakota, prepares to take off from Andersen AFB, Guam, Sept. 23, 2017. The flight underscored “the seriousness with which we take DPRK’s reckless behavior,” the Pentagon said, using an acronym for North Korea’s official name, the Democratic People’s Republic of Korea. “This mission is a demonstration of US resolve and a clear message that the President has many military options to defeat any threat,” Pentagon spokeswoman Dana White said in a statement. UN Secretary-General António Guterres met with Ri on Saturday. Earlier this week North Korea’s Ri said his country could test a powerful nuclear weapon over the Pacific Ocean in response to Trump’s threats of military action. 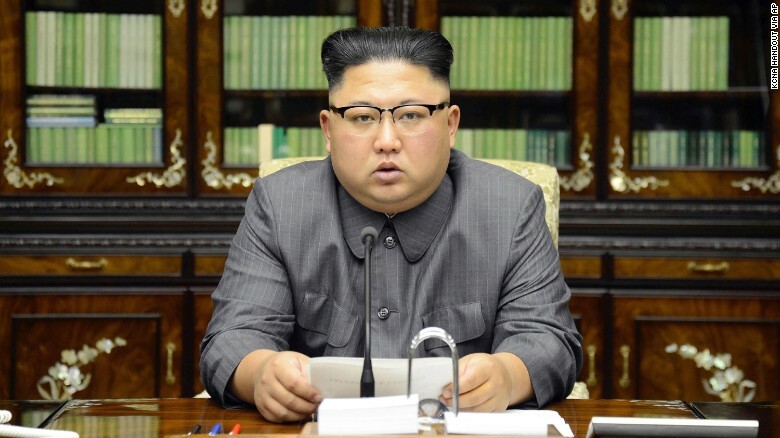 North Korean leader Kim Jong Un delivers a rare statement in response to US President Donald Trump’s speech to the United Nations.